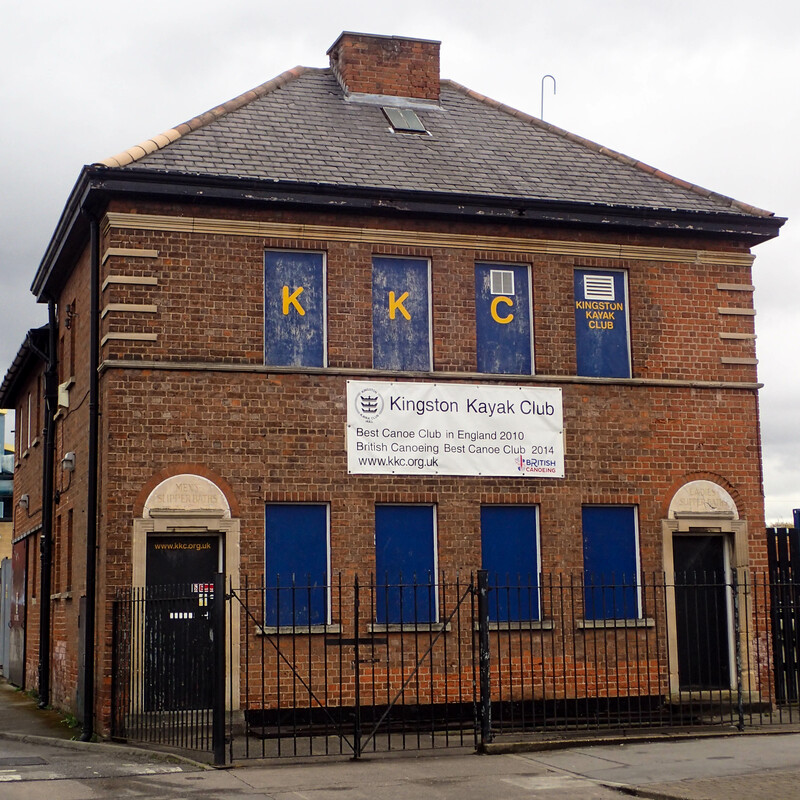 Kingston Kayak Club is based at Albert Avenue Pools Complex in Hull. On site we have a number of excellent facilities which provide a wide variety of experiences to develop your paddling and social skills. The Club has made reasonable adjustments to assist those with physical imparements to enjoy the sport. The Club House – Fronting onto Albert Avenue is the Old Cottage Baths which have been converted to provide us with a meeting place. We have a large boat store, holding all the clubs boats; male and female changing rooms; and a large club room to meet before and after training. The club room also provides us with a valuable space to facilitate training and meetings and can be hired by other locals groups (£25 per evening, £50 per day). The Outdoor Pool – Next to the club house is the old Albert Avenue Lido. This was refurbished, thanks to National Lottery Funding and now provides a unique training venue for a host of disciplines. 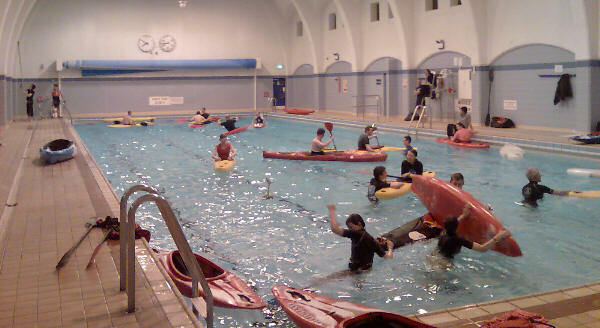 Learning new skills on the indoor pool is all well and good, however there’s a lot more incentive to make those support strokes work when out doors and this facility gives us an excellent venue to develop paddling skills in an extremely safe and controllable environment. The Indoor Pools – On Mondays we make use of the large indoor pool at the Albert Avenue Complex. This provides an excellent asset which aids us to teach beginners in a safe environment while also being able to coach from in the water more advance techniques. Princes Quay – In partnership with the Princes Quay Shopping centre we are able to offer yet another fantastic facility. The old dock around the shopping centre provides us with a great stage to demonstrate our sport to the uninitiated. 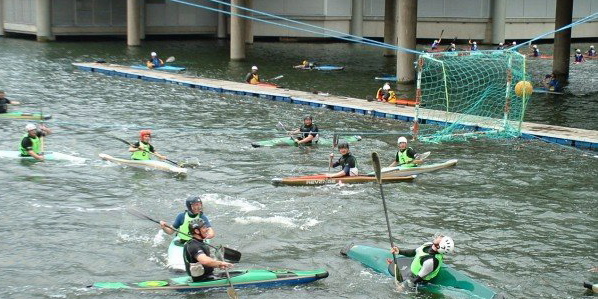 Located in the centre of the city we use the facility to conduct training sessions, bell boat races and the highlight of our yearly calendar; the Joy Davis Hull Canoe Polo International . The preparations for Hull’s 2017 City of Culture year mean that building works around the venue are going to temporarily prevent some activities.